You’ve got the pens, the notebooks, and a few fresh new pairs of clothes. But what have you done to look after your children’s health as they head off to school? Follow this checklist and discover the problems and solutions that impact the health of your star students, including overloaded backpacks, bullying, and back-to-school separation anxiety. Little changes can make a big difference over time. 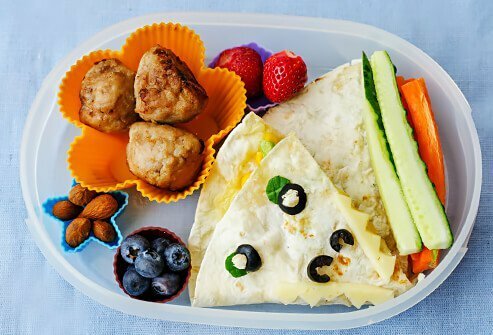 Changing the way you pack your kids’ lunches can make them healthier over the long term. Plus, you’re helping them appreciate what healthy food tastes like. Try filling their lunchboxes with colorful fruits and vegetables. Grapes, apples, mangoes, berries, and thin slices of red bell peppers and carrots are often popular, or mix in a few of your kid’s favorites. Switch juices and sodas for water. And consider substituting white bread for whole grains to add more fiber to their diets. Vaccinations save children from unnecessary pain, illness, and death. 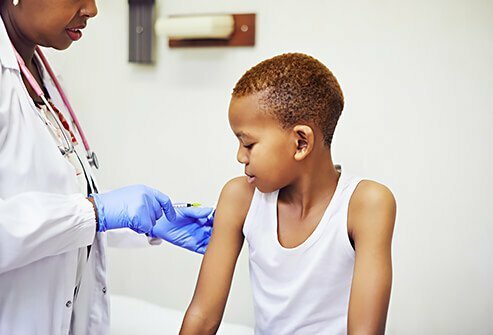 That’s why all 50 states require school-aged children to be immunized against diseases like measles, mumps, rubella, pertussis, and chickenpox. Be sure your child’s immunizations are up-to-date for their safety, and for the safety of others. 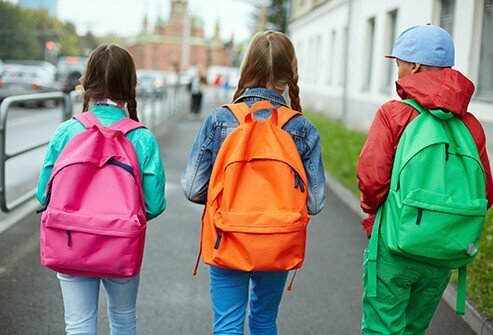 Most experts say that carrying any more than 10-15 percent of a child’s body weight in backpacks can cause problems. Heavy backpacks can cause significant pain in children’s backs, necks, and shoulders. Girls are particularly prone to back pain from overburdened backpacks. 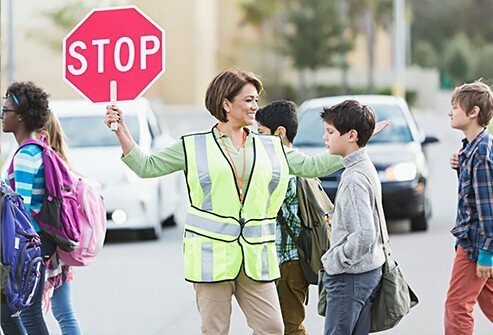 Lightweight backpacks with waist belts and padded backs can help. Using both shoulder straps is also a good idea. Finally, finding ways to reduce the extra weight like using lockers more frequently between classes can help prevent unnecessary pain. Now that most parents work, getting a call from the school nurse can be a major disruption. 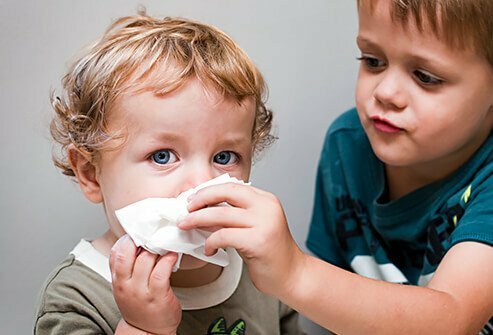 Caring for your child when they come down with a flu or other illness takes preparation when you’re away from home. 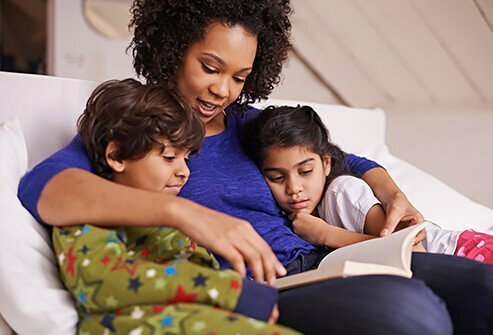 Your backup plan can include a trusted family member or family friend who can care for your child for the day, or bring them to a babysitter or child care facility flexible enough to take sick kids. Or you could start a parent network at your school for support during challenging situations like this. 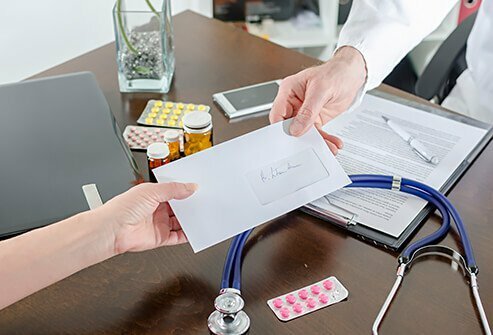 When your child needs medication, the law may prevent schools from administering it without your written consent and a note from a doctor. School staff is not allowed to administer medications as needed, so you need to give them specific instructions on how to medicate your child. Also consider asking your pharmacist to put your child’s medication into two labeled bottles - one for use at home, the other to be kept at school. And remember that when it comes to transporting medication, make sure adults are in charge until your child is mature and responsible enough to handle the job. 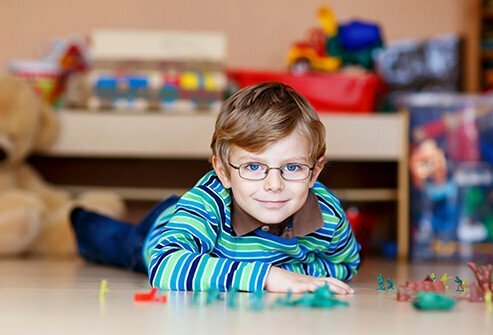 Don’t let colds and other infectious diseases stand in the way of your child’s success. Teach your kids the basics of cold prevention. Wash your hands frequently for at least 20 seconds, avoid touching your face, sneeze into tissues or sleeves, and throw tissues away after using them. Finding ways to lower your kids’ stress can help them keep colds at bay, too. 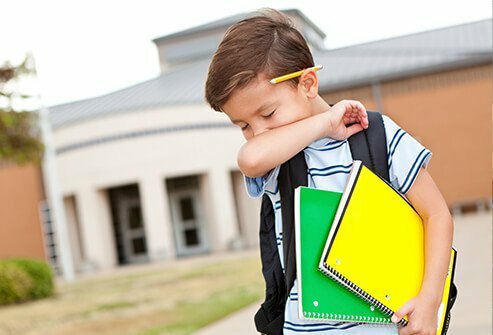 The new school year can also bring new allergy concerns. 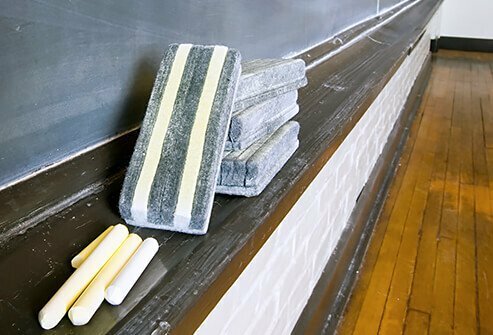 Common classroom allergy triggers include mold, dust mites, and chalk dust. Food allergies present another challenge. Try talking with teachers, coaches, and other school staff about your child’s allergy needs. 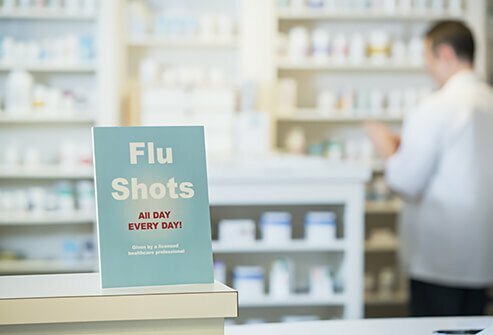 If your child has hay fever, pay attention to local pollen counts and plan accordingly with allergy-fighting medicine. 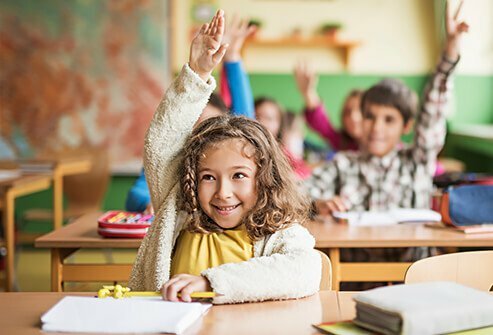 If your child has a life-threatening food allergy, make sure school staff know how to administer auto-injectable epinephrine. It’s easy to forget that for most students in the U.S., the beginning of the school year is the hottest time of the year. 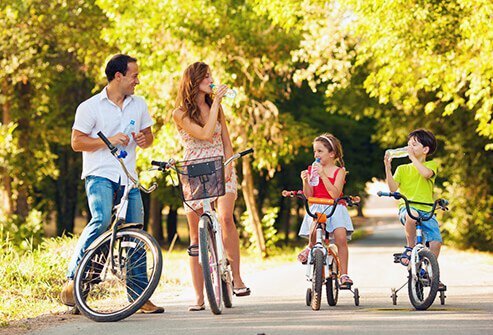 One of the most important ways to protect your child’s health in the heat is to be sure they’re staying hydrated. For kids aged 4-8, about two quarts of water should be enough on a hot day. The amount increases for each age group, leveling out as teenagers at about 3.5 quarts for boys and 2.4 quarts for girls each day. 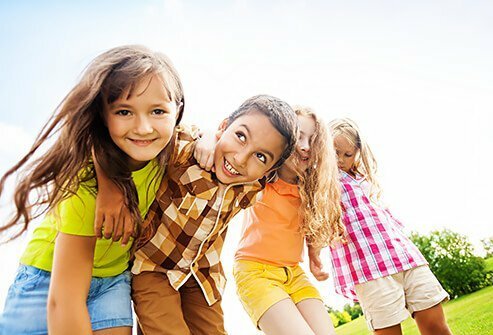 It’s a good idea for kids to have a yearly checkup to keep up with their growth progress and other health concerns. From birth until early adulthood, doctors recommend that children be seen annually to check on their progress. 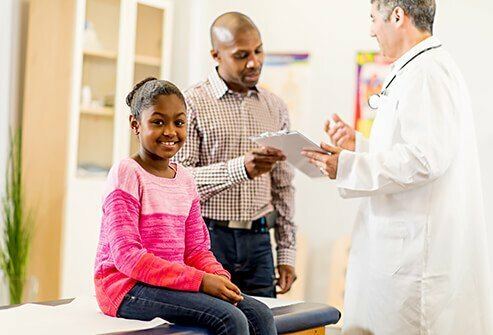 Let the first day of school be a reminder each year that the annual checkup is an important time to assure your child’s health and wellness. It’s common for both parents and children to feel anxious over being apart as the school year starts. But there are ways to relieve this separation anxiety. Try practicing separation ahead of time by leaving kids with caregivers for short periods. Developing a simple goodbye ritual can help reassure children. Make goodbyes short and sweet—don’t stall! And realize that your own trouble saying goodbye may feed into your kid’s anxiety. Forging a good relationship with the teacher can help you and your child both feel better about saying goodbye for the day. Little eyes are watching. 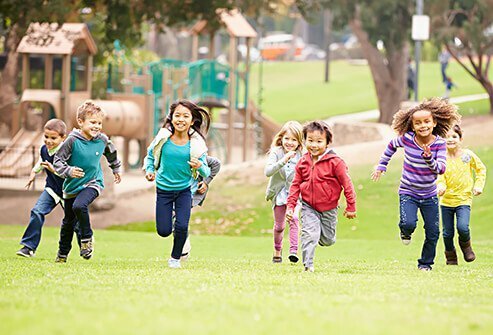 By taking steps to secure your child’s health at school, you are leading by example. 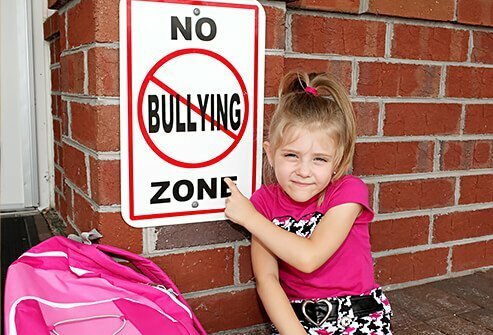 Children learn how to take better care of themselves when you take them to get annual checkups, teach them how to face bullying, make preparations to manage their allergies, and follow the other steps listed here. What’s more, those lessons can last a lifetime, setting them on the right track to become and remain healthy adults.